Pralus is a French chocolate maker and pâtissier based in Roanne. 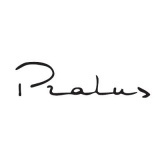 Founded in 1948 by Auguste Pralus, and are now run by his son François. The company has a particular love of Madagascar, and owns a plantation on the island of Nosy Be, just off the north west coast of the country. Pralus currently makes chocolate for Åkesson’s and Tobago Cocoa Estate.